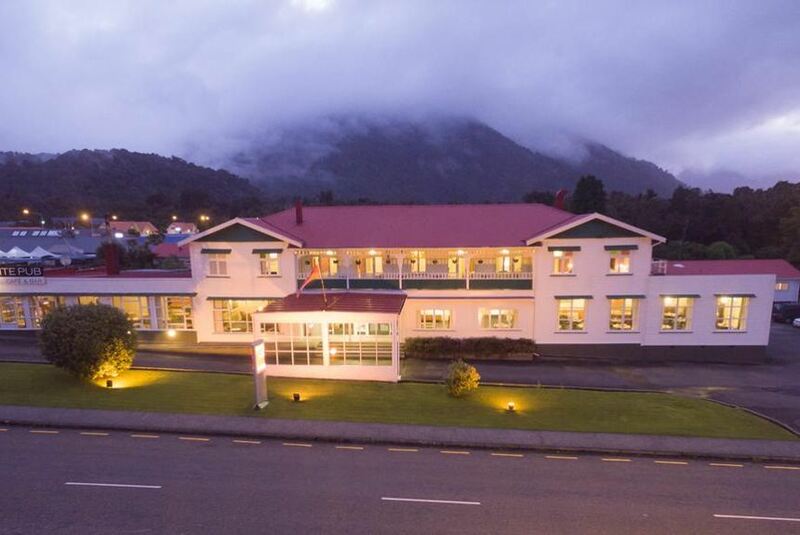 Located on State Highway 6, nestled at the base of the majestic Southern Alps, this hotel offers comfortable hotel right by the South West World Heritage Park, in Fox Glacier Village. Guests enjoy free WiFi per day. There is a variety of rooms offering spectacular mountain or rural views. All living units contain LCD TVs and refrigerators. Continental as well as hearty cooked breakfast is served every morning. In the evenings, guests can enjoy an a la carte dinner menu. Nearby activities include guided walks on both Fox and Franz Josef Glaciers, helicopter sightseeing and landings on the snow and ice. Heartland Hotel Fox Glacier is only minutes away from Fox Glacier and the world famous mirror lake, Lake Matheson, reflecting New Zealand's two highest peaks, Aoraki/Mt Cook and Mt Tasman.